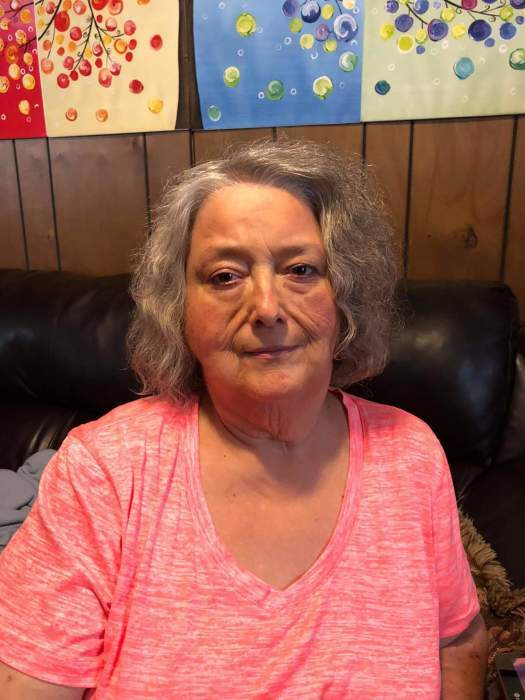 Peggy Sue Brookover, 69, of Zanesville went to be with her Lord and Savior in the late hours of Saturday, March 30, 2019 at Genesis Hospital following an extended battle with kidney disease. She was born on March 27, 1950 in Pikeville, Kentucky, the only daughter of the late, Bennie and Dayfene (Estep) Hall. Peggy was a beloved wife, mother, grandmother, sister and friend and will be truly missed by all who knew her. She was a devoted grandmother to her grandbaby, Aliauna "Alexander" Brookover. Following her over thirty-year employment at Essex Wire/Lear Corp, Peggy spent her retirement with her husband, camping and playing with her dog, Mojo. After being baptized in Kentucky, Peggy continued loving her God within the walls of the Zanesville Church of Christ. Peggy leaves behind to cherish her memory, her husband James Brookover Sr. whom she married July 25, 1975; her son and daughter-in-law, James (Marilyn) Brookover, Jr.; her brothers, Eddie (Loretta) Hall and David (Rosa) Hall and her caregivers, Jess and Julie. Friends and family will be received, 11:00 AM-2:00 PM, Tuesday, April 2, 2019, at the Goebel Funeral Home, 36 N. Buckeye St. Crooksville. Funeral services and a celebration of Peggy's life will follow at 2:00 PM, at the funeral home. Peggy will then be laid to rest in Community Gardens Cemetery next to her darling parents.